Mile High Baby: Fun-filled weekend! 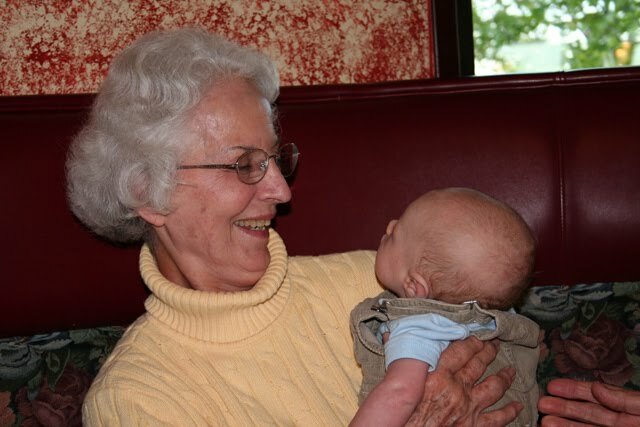 This weekend was special for a few reasons: My cousin, Brooke, graduated from high school, Peter Ambrose got to meet his great-grandmother (my Granny) for the first time, and we placed membership at our church here in Boulder! 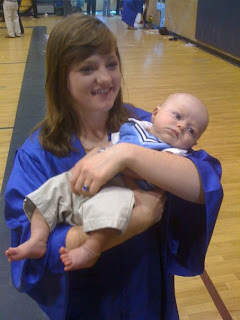 Brooke, newly graduated, holds Peter Ambrose. 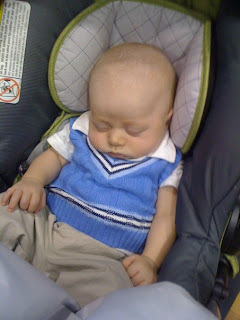 I love this little outfit; he looks like such a little man. It was given to him by (who else!) his great-grandmother. Photo caption: "Off! Off! GET IT OFF ME!" Peter Ambrose is 2 Months Old Today! !